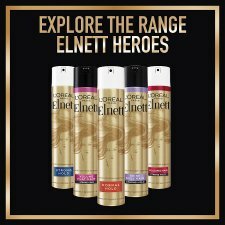 Elnett offers long-lasting hold with a brilliant shine and a soft touch. Its unique micro-diffuser sprays ultra-fine and disappears at the stroke of a brush. 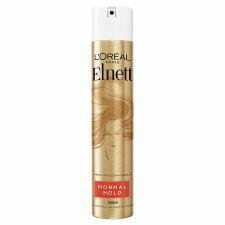 Protects your style against the effects of humidity. How to Use: Remove security tab and shake can. Spray from about 30cm away from the hair.